Professionally, I did my undergraduate degree at Birmingham and went on to complete a master’s at Cardiff. After that, I became a lecturer at Cardiff Metropolitan University and alongside that I was employed by the Welsh Rugby Union, looking into development of their elite squad and talent-spotting. Subsequently, I made the move into teaching and started at Canford. 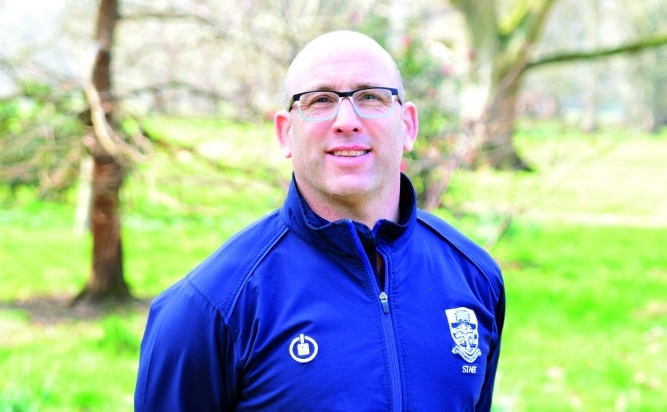 I began as a rugby coach and sports facilities manager, before becoming head of rugby. I was made director of sport in 2007 – which was a huge honour. Alongside these commitments, I’ve also been involved in coaching the Dorset and Wiltshire county rugby teams, South West Schools rugby and Bournemouth RFC. How about your playing career? I started playing both football and rugby at school. I played football for Wales at U-16 level and I was offered an apprenticeship at Newport County. I chose instead to take a scholarship to play soccer for a year in Texas. 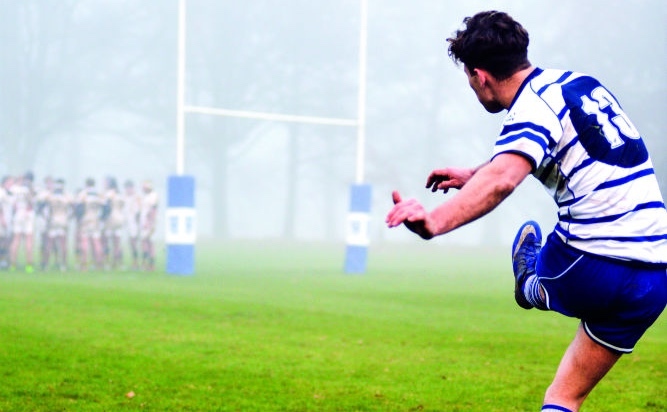 When I returned to Wales for my A-levels, I came back to rugby. I represented Moseley RFC while at Birmingham and I reached the Wales U21 squad. That was an extraordinary moment. I’ve also played for Glamorgan Wanderers and Pontypool, and when I made the move to Dorset to start at Canford, I captained Bournemouth and the Dorset & Wiltshire teams. What’s your earliest sporting memory? It would have to be watching the 1979 FA Cup Final on TV. It was Man Utd v Arsenal – and I remember it was Alan Sunderland who scored the winner for Arsenal! What are the greatest lessons playing sport can teach? I’ve found in my career, and in my teaching, that the values which sports can instil are unmatched. Sport teaches you that determination and hard work are non-negotiable if you want to succeed at anything. But equally, it also makes you aware that enjoyment, improvement and courage should be at the heart of everything. How do you embed those values into Canford’s sports provision? There are few values with which we try to underpin our sports teaching. We hope to produce pupils who are confident, ambitious and fearless; but also resilient, organised and noble; we sum these ideas up in the CANFORD acronym. But as coaches, the onus is on us to encourage these traits rather than just focusing on results. Of course, we want the pupils to experience and enjoy winning but these qualities are what will matter most beyond Canford. They will continue to shape and influence the pupils well into later life. Which is more important: good coaches or good facilities? Good coaches, undoubtedly. Top class facilities are great, but you need excellent people to deliver sport which will have an impact beyond the school. I am very fortunate to have a fantastic team of coaches and teachers who deliver sport with passion and expertise here. What are your plans in terms of Canford’s sports? We want to continue to see sport play a prominent role in the cocurricular lives of Canford pupils, both at school and beyond. We also want to meet the challenge of providing appropriately challenging competitive sport for those who want to pursue it to the best of their ability, whilst providing meaningful recreational opportunities for those that don’t. And we hope to continue to punch above our weight on the national stage, wherever we can. Lastly, in a sentence, sum up what sports and exercise mean to you? That’s tricky. Well, I’d say they represent the opportunity to challenge oneself on a regular basis as well as developing and nurturing friendships.